Rogue fishers around the world toss explosives into the sea and scoop up bucketloads of stunned or dead fish, a practice that is illegal in many nations and can destroy coral reefs and wreak havoc on marine biodiversity. Catching perpetrators amid the vastness of the ocean has long proved almost impossible, but researchers working in Malaysia have now adapted acoustic sensors—originally used to locate urban gunfire—to pinpoint these marine blasts within tens of meters. Growing human populations and international demand for seafood are pushing fishers to increase their catches. “Fish bombing,” which is practiced not only in Malaysia but also in Nicaragua, Tanzania and other places, is a “brutally efficient” way to do so, says George Woodman, founder of the Hong Kong–based Teng Hoi Conservation Organization. Shock waves from the explosions rupture the fishes' swim bladders, immobilizing the fish and causing some to float to the surface. And the bombs themselves are easy to make: ammonium nitrate (a common fertilizer) and diesel fuel are mixed in an empty bottle and topped with a detonator and waterproof fuse, Woodman says. He and his colleagues detonated 19 fish bombs in a part of a bay devoid of marine life in Sabah, a state in East Malaysia. They recorded the explosion sounds with sensors developed by ShotSpotter, a California company that employs similar technology to home in on gunshots in cities. The team used time-stamped data recorded by four devices mounted on piers and two attached to boats to triangulate the positions of 16 explosions to within 60 meters in about 10 seconds. 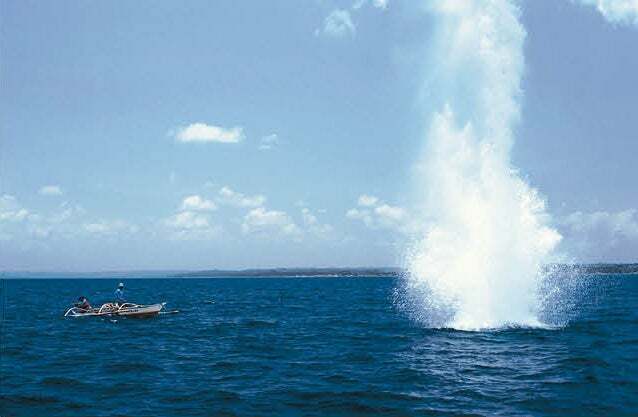 The researchers also located uncontrolled blasts set off by local fishers and photographed boats in the explosions' vicinity, they reported in March in Marine Pollution Bulletin. These demonstrations—the first time fish bombings have been traced in this way—are an important step toward policing the problem, the team suggests, because an explosion can be linked to a boat in the same location at the same time.